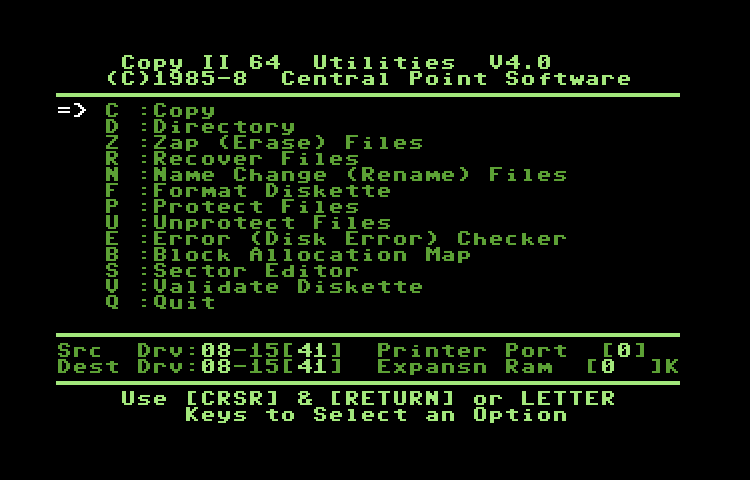 Central Point Software - 1985-88. This is one of the last versions of Copy II for the Commodore 64 and 128. Supports parameters, and auto-boots in 128 mode. Parameters on disk/side two.